National University of Technology (NUTECH) Islamabad has started inviting the applications for its Undergraduate Programs. 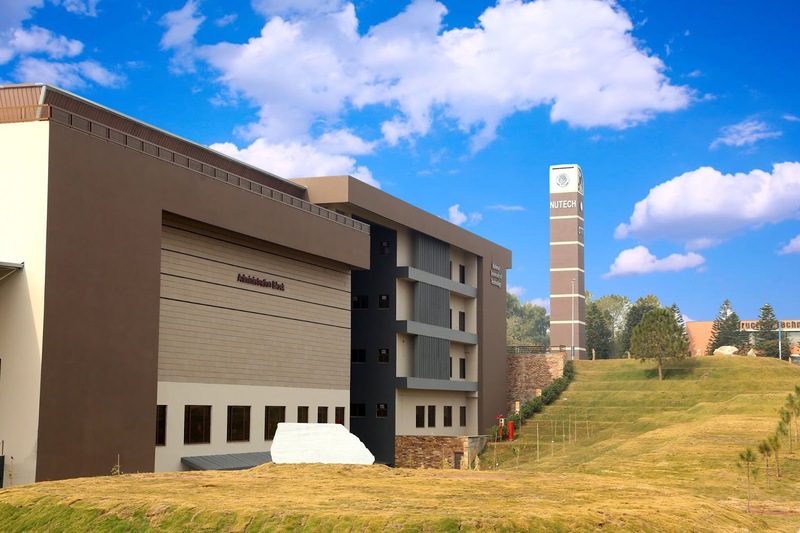 The National University of Technology (NUTECH), Islamabad was established in 2018 as a Semi government University under the umbrella of Army. The University is recognized by Higher Education Commission of Pakistan and all of its Engineering Technology Programs are accredited by National Technology Council of Pakistan. The vision of the University is to become Internationally recognized, technology-driven and research University. 10) Technology practice opportunities and Technology research opportunities programs and Technology for society programs. Candidates must have minimum 60% marks in SSC and HSSC / HSSC-I or equivalent with 60% marks in each Mathematics, Physics, and Chemistry / Computer. Candidates with ICS or equivalent can only apply for Computer Engineering Technology and Information Technology. Candidates must have appeared in NAT conducted by National Testing Service or will appear in a special test of NUTECH which would be conducted soon by National Testing Service. Eligible candidates can apply online from the link given below. Register a new account by filling the correct details. Once you have login into the online admission portal fill your details correctly and upload all the required documents. Once the form has been submitted a fee slip will be generated. Submit the fee in the bank.